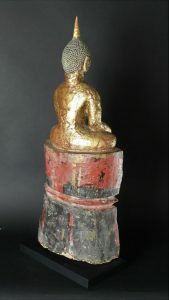 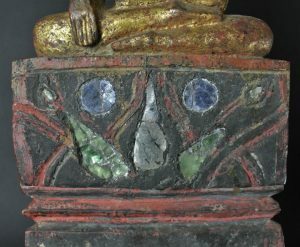 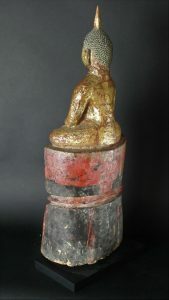 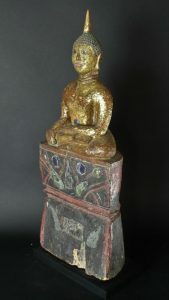 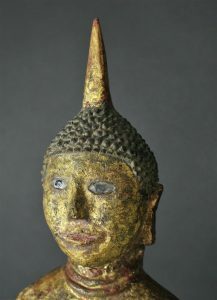 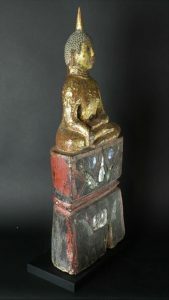 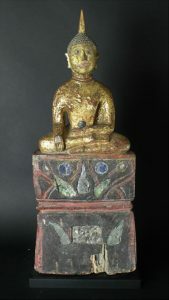 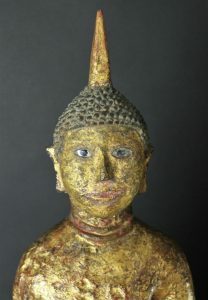 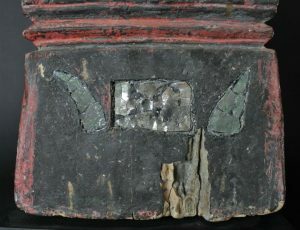 Amazing Thai Isaan 19th century lacquered and gilded wooden Buddha with glass eyes and glass decorations in the base. 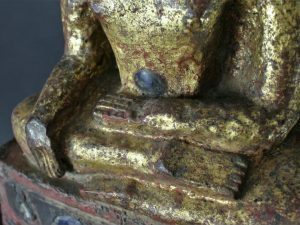 Buddha has his hands in Bhumisparsha mudra. 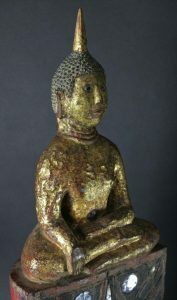 Very Charming Folk Buddha. 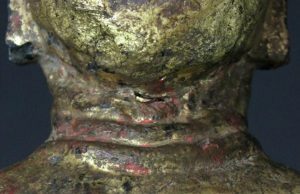 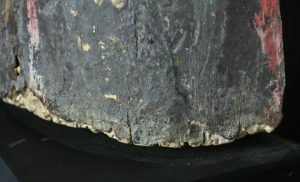 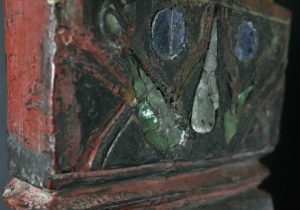 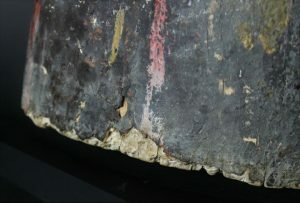 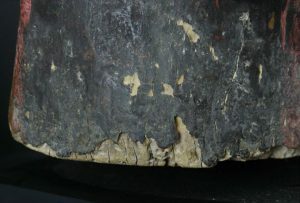 In very good condition only at the base some loss by mold and termites but cured.